Do You Want Quinoa with Your Chick-fil-A? The population of fast food-goers that actually want to make better dining choices must be growing becuase slingers of burgers and fried chicken sandwiches keep coming out with new ways to seem healthier. Restaurants like McDonald’s have made headlines for their lower calorie and preservative-free options and now Chick-fil-A is apparently following suit. According to Eater, the Southern-based chicken company is testing two new quinoa bowls in San Francisco, Sacramento, Tampa and Huntsville, Alabama. : Harvest Kale & Grain and Egg White Grill Grain. 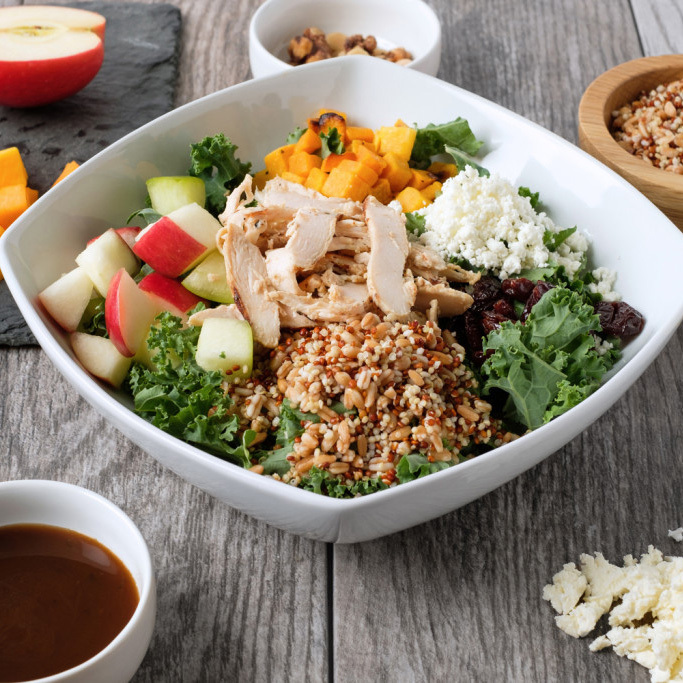 Though the concept of healthy bowls is nothing new, this seems to be the first time the fried-focused franchise has added ingredients like red and white quinoa, farro and kale to its American menu. The chain has also already begun to roll out healthier breakfast options like scrambled egg whites and yogurt-based protein smoothies in select markets. So what are your thoughts on Chick-fil-A's decision to slim down its customers with a beefed up menu? Do you applaud their efforts to expand and diversify or should they just stick to the waffle fries and fried chicken we constantly dream about?